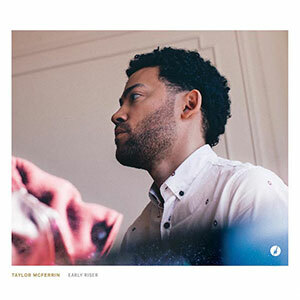 Taylor McFerrin and I have been playing and writing together since the early 2000’s. This record was something he had been working on for years. He finally gave me the call one day and we set up a session at his home studio for me to lay some bass on some of the music. The first thing he sent me was what ended up being track 1 (Postpartum) on the record, and I told him that I couldn’t stop hearing this vocal part on it. I showed up for the session and we did some takes with the vocal idea with both of us singing together which we had done many times before in other projects. It came out incredible! Each and every time I get the good fortune to write and record music with Taylor, there’s always something special about it. Taylor is just an amazing music brother to me. I put some bass on a couple other tracks and I was completely thrilled to having ended up recording on tracks with drummer Marcus Gilmore and with Taylor’s pop Bobby. When he released this record it was a long time coming and it got a lot of the good attention that it deserved.